Hello, I’m Sheryl Mungall and I’ve had the privilege and pleasure of bringing couples together in marriage for nearly 25 years, performing more than 740 wedding ceremonies! I’m not only a Justice of the Peace, I have a Certificate in Celebrant Studies from AUT, and was awarded life membership of the National Celebrants Association for my dedication and service. I was also honoured to have served on their Executive Committee. I train celebrants throughout New Zealand and take pride in passing on my knowledge and experience through teaching seminars and holding forums. It’s important to remember that even though I have had many years experience facilitating weddings, each one has been an individual, personalised experience. After all, every couple is distinct, every journey has been different, and every couple wants to celebrate their special day in their own special way. The happy couples who come to me to help facilitate their ceremony are looking for more than just a celebrant. They want someone who specialises in personal and meaningful ceremonies, someone who can perform their role in a friendly, professional and non-judgemental manner and someone who can help create the perfect atmosphere for a truly memorable day. I can do all this and more. I have an understanding and respect of both non-denominational and religious services, and have a special connection to the Jewish faith. I have performed more than fifty weddings for same-gender couples from here and overseas, and can incorporate religious traditions into a non-religious ceremony. I’m based in Auckland (but can travel if required!) and I particularly enjoy sharing my stunning ocean- view home with couples who would prefer a small, intimate wedding. For those couples who prefer to keep their union private, rest assured that discretion and confidentiality will be observed at all times. Whatever your plans are for your wedding, your service and your ceremony, I will do my very best to ensure your special day is made all the more memorable! 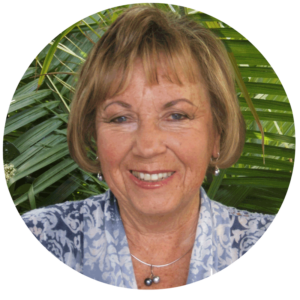 Contact me now – Sheryl Mungall, registered Auckland Marriage Celebrant.